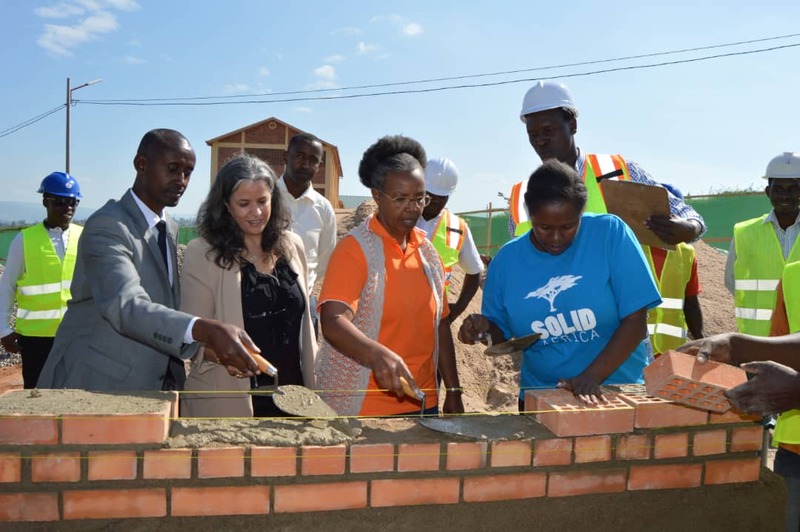 A local non-government organization has launched construction activities of the very first industrial kitchen in the country that will supply over 15,000 free nutritious meals to patients in six referral hospitals within Kigali city. 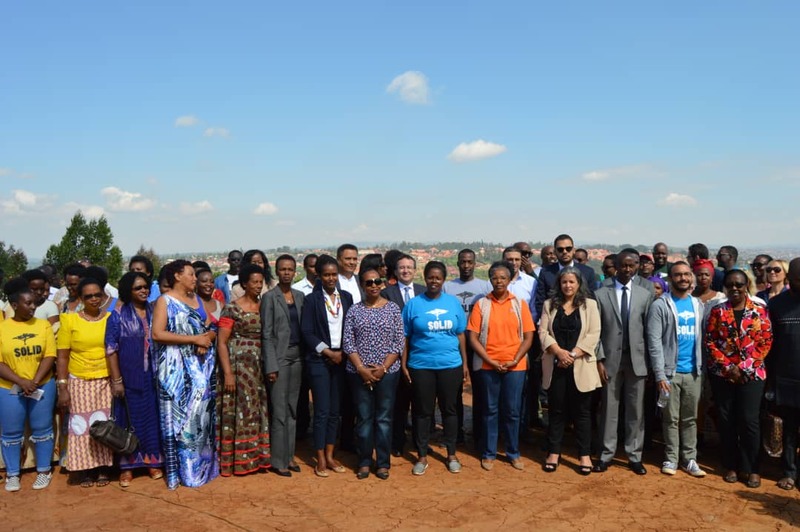 The two-phase construction project located in Rusororo sector – Gasabo district was sponsored by Imbuto Foundation, an organization which is championed by the First Lady Jeannette Kagame, in partnership with Morocco’s King Mohammed VI Foundation for Sustainable Development. The first phase worth $300,000 will have a fully-fledged state of the art kitchen, food preparation and delivery areas, changing rooms, toilets and bathrooms. A restaurant will also be constructed in the second phase whose total cost is yet to be determined. The kitchen is expected to start operations of preparing balanced diet for 1000 patients a day by end of year. The kitchen is dubbed ‘Mike Stenbock (MS) Gemura Kitchen’. Beneficiaries are patients from Kigali University Teaching Hospital (CHUK), Kibagabaga, Muhima, Masaka, Kacyiru and Kanombe Military hospital. “This kitchen was named after Mike Stenbock one of the volunteers who was behind this idea of starting a kitchen for preparing food for patients but sadly passed away in 2011,” said Isabelle Kamariza, founder of Solid Africa. Solid Africa, is a charity organization with 5 initiatives oriented to supporting hundreds of needy patients. From feeding 60 patients in 2010, the organization has now grown to feed 400 patients to date, and plans to reach 1000 patients daily in Kigali, but also in future expand its activities throughout the country’s public hospitals, in the region and on the continent. “From the onset, we knew that similarly to other socially-driven projects developed by this group of committed and inspiring, young individuals, this industrial kitchen would align well with other national priorities to uplift the lives of the most vulnerable ones in our communities,” said Rita Zirimwabagabo, the Vice Chairperson, Imbuto Foundation. The Director General of Imbuto Foundation, Sandrine Umutoni, said that the construction of the kitchen will be completed in six months. The structure will boost the foundation’s intervention in improved health care and support for vulnerable Rwandans but also a run as a business to the public. Solid Africa founder Kamariza, was recently awarded by Her Majesty Queen Elizabeth II as the 55th Commonwealth Point of Light for the initiative that has seen young Rwandans carry to patients breakfast made of porridge, eggs, bread, fruits and milk and sometimes, freshly squeezed juice through the week. “It’s has not been an easy journey for us. We had to commit to this initiative of feeding patients. As a group we made contributions per month- sometimes Rwf2000 or even Rwf5000 to buy the food…and looking back we cannot believe it’s a dream come true,” said David Mporanyi, one of the Solid Africa volunteers. Until the kitchen structure is completed, Solid Africa and its volunteers and ambassadors will continue running their usual mode of business, preparing food from their homes and distributing it to CHUK hospital.